Maca is all the rage in the world of wellness today, but it has been a staple superfood in the cold climates of the high Andes in Peru for thousands of years. 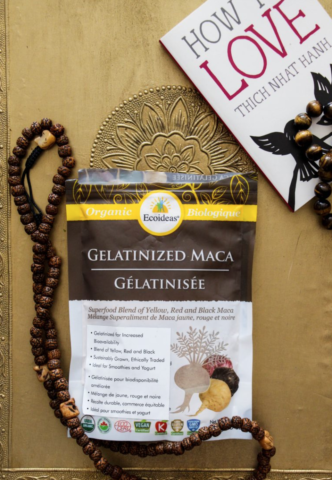 If you’re wondering what everyone is talking about when it comes to the magic of maca, here’s everything you need to know. Maca touches the sky with it’s goodness, it grows at an insane elevation of 11,000 – 14,000 feet making it likely the highest altitude food-herb crop in the world! And the properties of maca are due to the extreme conditions under which it grows. This is a point that we as Canadians should really keep in mind, seeing thatwe support our bodies in the climates we live in with foods that prosper in identical climates. Maca is an excellent choice for individuals living in cold climates and/or at high altitudes and/or with extreme lifestyles. 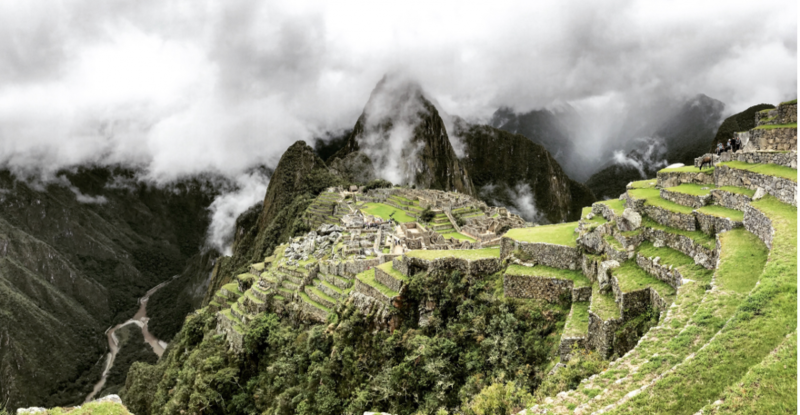 Maca was domesticated over 2,000 years ago by the predecessors of the Inca people. Once harvested, the maca root was traditionally dried, then powdered. Once powdered it was either eaten or put into sacs and traded for other commodities. Oftentimes cacao nibs and beans would come up the Andes from the jungle and in exchange maca would go down from the Andes into the jungle. Both cacao and maca were used as a trading commodity by ancient indigenous peoples. Maca’s not only a distant relative of the radish, but also has the reputation as a powerful strength and stamina enhancer, as well as libido-enhancing food. A powerful adaptogen, Maca has the ability to balance and stabilize the body’s systems (cardiovascular system, nervous system, musculature, lymphatic system, etc. ), and can provide more energy where it is needed, but if it is not, it will not overstimulate. Maca is rich in calcium, magnesium, phosphorus, potassium, sulfur and iron, and contains trace minerals, including zinc, iodine, copper, selenium, bismuth, silica, as well as vitamins B1, B2, C and E. Maca contains nearly 20 amino acids and seven essential amino acids. As a root crop, maca contains FIVE times more protein than a potato and FOUR times more fiber. Research claims that maca improves memory, increases oxygen in the blood, improves the function of neurotransmitters and increases libido. And it’s not just something to add to your smoothie! Maca goes well in homemade jams, broths, puddings and fresh juices. This powerful superfood has much to offer so be sure to wean your body onto it we suggest to start with a low amount – about 1 teaspoon a day. Kelly's Bake Shoppe Turns 5!